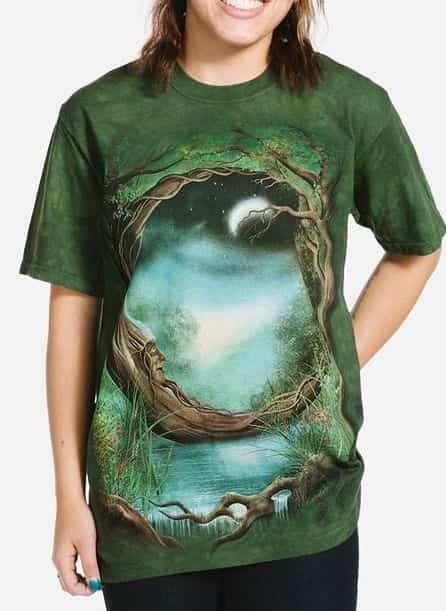 Sun Moon T-shirt from The Mountain® features the fantasy artwork of Vincent Hie. WOW! you can almost feel the sun's rays with the burst of colour with this design. This celestial t-shirt features a screen printed mystical sun and moon. The sun and crescent moon's human like faces along with the vibrant colours and rich tones give it an ethereal feel. This is also a great unisex design for festival season!